During the first visit, we will review of your health history and current health concerns and discuss your options for care. You will learn about which type of treatment will benefit you the most. An acupuncturist is trained to evaluate the whole person through listening, palpating and observing him or her. We will address your questions or concerns. 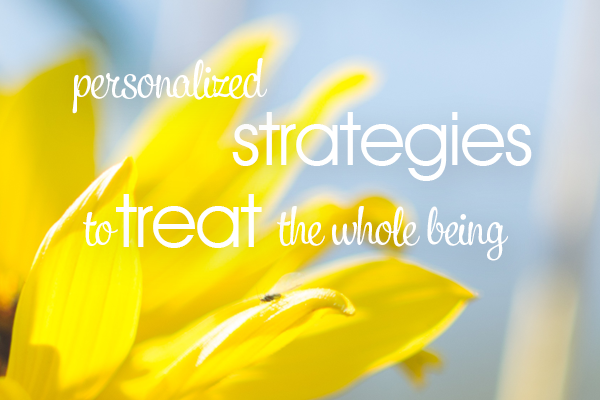 Together, we will decide on a strategy and form a treatment plan that is specific to your health and your issues. The initial visit often includes your first treatment. Follow up visits are typically about one hour long. In these visits, we will follow the treatment plan that we laid out in the first visit. Your treatment may consist of some combination of acupuncture, massage and consultation. All of the techniques are relaxing. These visits are your opportunity to rest and relax your body and settle your mind. Your treatment plan depends on your condition. In your evaluation, we will estimate the number and frequency of visits that you will need. Most problems for which people seek acupuncture require more than one treatment. For acute problems, 1 to 3 visits may resolve the issue. For chronic problems, a longer course of treatment will be necessary. We are not providers for any specific insurance companies. If you have coverage for acupuncture from an out of network provider, you can pay at the time of service and submit your receipts to your insurance company for reimbursement. For many people, this is a simple process. We do not guarantee insurance reimbursement. To find out if you have insurance coverage for acupuncture, you can check your policy or just call the customer service number on the back of your card. Can you help me submit claims to my insurance company? Can I use a Health Care Savings Account or Flex Fund? Yes, acupuncture is an allowable expense for these accounts. To use them to cover the massage therapy portion of your visit (if there is one), you will need a script from your medical provider. No script is needed to use HSA or Flex Fund accounts to cover the cost of acupuncture. Yes, all forms of payment are accepted including cash, checks and most credit cards.